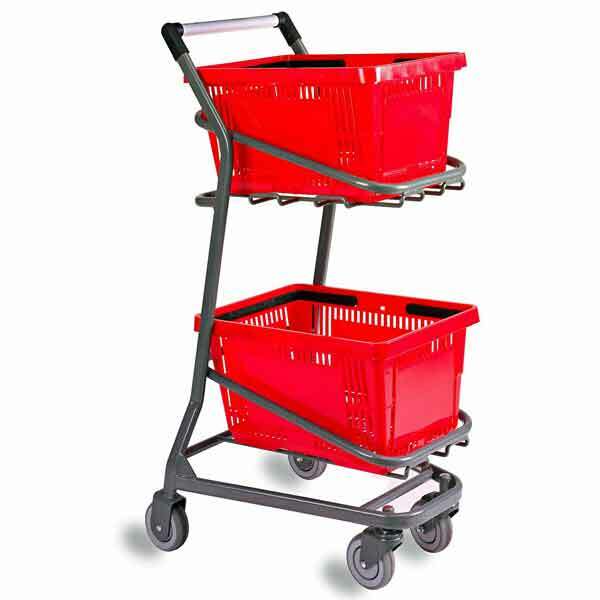 We offer a couple of small wire convenience carts that are designed to hold two large hand baskets. These are a good addition for stores that currently utilize a lot of hand baskets. The retail hand baskets are sold separately from the carts. 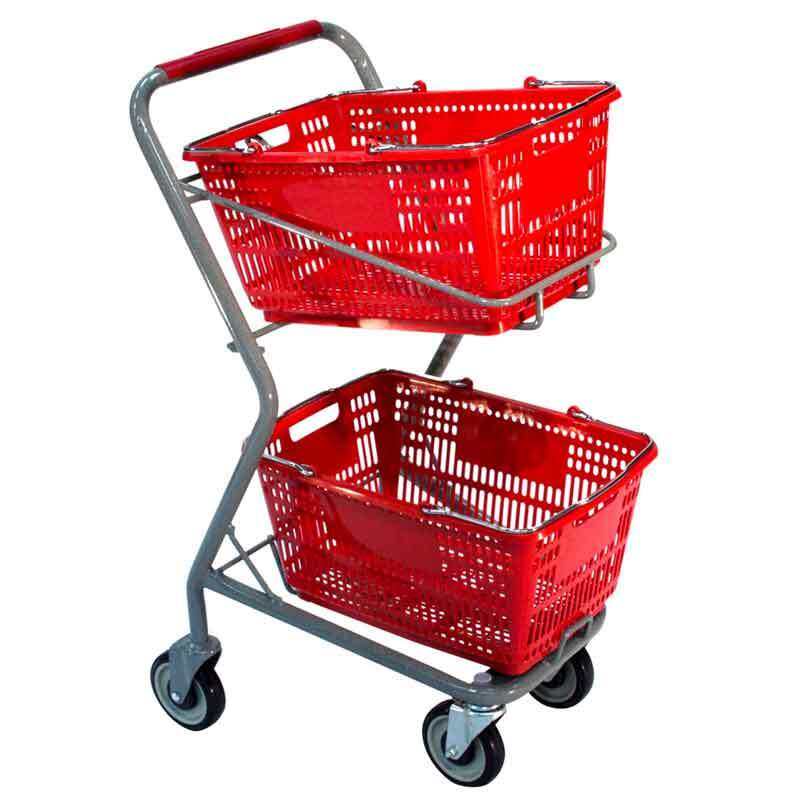 The two models of carts below are specifically designed to carry most standard hand baskets. The model 101 EZcart is an imported cart that ships from Tennessee. The model 050 carts ships from the manufacturer in California. Our hand basket model HB18W and model HB17P will work with either of the carts below. We offer a couple of styles of plastic retail hand baskets that are sold separately from the carts.